In early November, Masipack will reveal our 2017 equipment line at PACK EXPO International 2016, the world’s largest processing and packaging trade show with 45,000+ attendees from 40+ vertical markets, 7000+ international buyers from 130+ countries, and more than 2,000 exhibiting companies occupying over 1.1+ million net square feet. 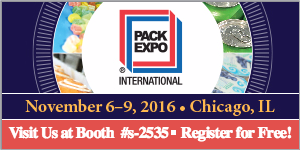 PACK EXPO will be held November 6th through the 9th at McCormick Place in Chicago, Illinois. In addition to seeing the latest technologies while perusing the show floor, attendees will have the chance to learn via PACK EXPO’s “Innovation Stage,” the show’s on-floor education lineup, and see innovations presented by exhibitors who have elected to participate in this space. More so than any other event in North America, PACK EXPO International provides attendees with an opportunity to see technologies in motion, meet with packaging experts, explore technology specific to their industry, and gather insight from other markets as well. Come visit Masipack at Booth S-2535. Our technical sales team is excited to demonstrate our latest equipment line, as w ell as their industry experience at this internationally acclaimed event, and looks forward to visiting with current clients and meeting new attendees who may have packaging needs. If you are in need of packaging solutions and are coming to PACK EXPO, we are eager to meet with you and discuss how Masipack can collaborate with you to meet your needs. Click here if you are an end user or retailer registrant and would like to register for the show using Masipack’s comp code (provides complimentary access to the show). Masipack is competitively priced with minimal lead times, unparalleled service, and superior equipment. You will love what we have to offer. We hope to see you at PACK EXPO! 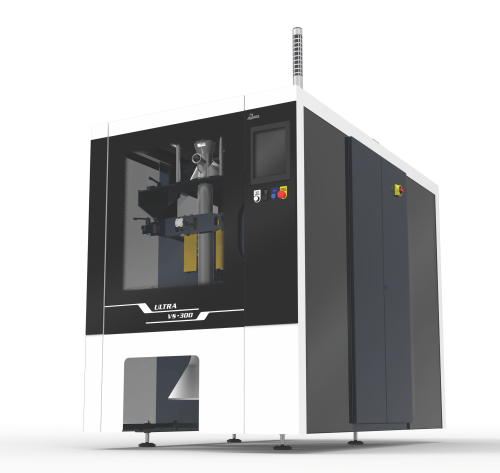 Also, Fabrima, another member of the Masipack Group, will be showcasing equipment at Pharma EXPO, the leading pharmaceutical packaging trade show that happens to be co-located with PACK EXPO. Lastly, be sure to check out our 5th “Tips and Tricks” series blog article “How to Prepare for a Packaging Trade Show” that will go live this Wednesday, October 26th, on masipack.com/category/blog to learn helpful hints about what you can do do to best prepare yourself for PACK EXPO.